Malema's watch and car sufficient to cover legal costs: AfriForum - SABC News - Breaking news, special reports, world, business, sport coverage of all South African current events. Africa's news leader. AfriForum has obtained a warrant from the North Gauteng High Court to attach assets of the EFF and Julius Malema, to the relevant sheriff of the court. 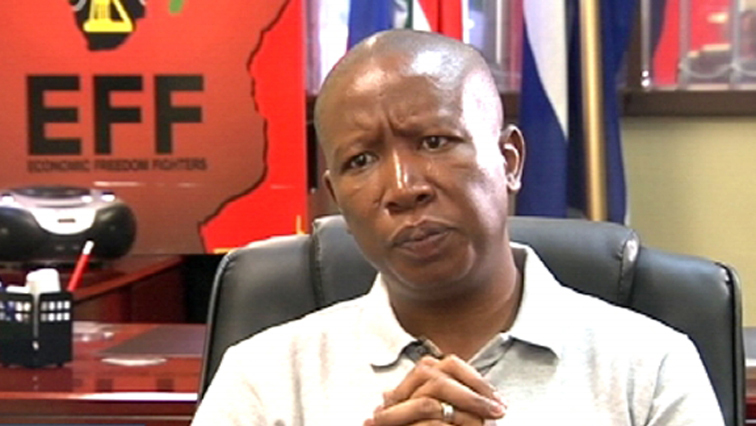 Lobby group AfriForum says Economic Freedom Fighters (EFF) leader Julius Malema‘s watch and luxury car should be enough to recoup the debt owed to them. The group has obtained a warrant from the North Gauteng High Court to attach assets of the EFF and Malema, to the relevant sheriff of the court. The move is to recover legal costs owed to AfriForum in a court case brought against Malema and his party to prevent them from inciting people to seize land illegally. This entry was posted on 06 Nov 2018,05:43AM at 5:43 AM and is filed under Politics, Homepage Latest Stories Slider. You can follow any responses to this entry through the RSS 2.0 feed. Both comments and pings are currently closed.